Once known as the 200EX/RR4, the now-named Rolls-Royce Ghost joins the larger Phantom, completing a spooky ultra-luxury car line-up. Based on the 2009 BMW 7-Series, but is expected to use a 500+ HP twin-turbo V8. 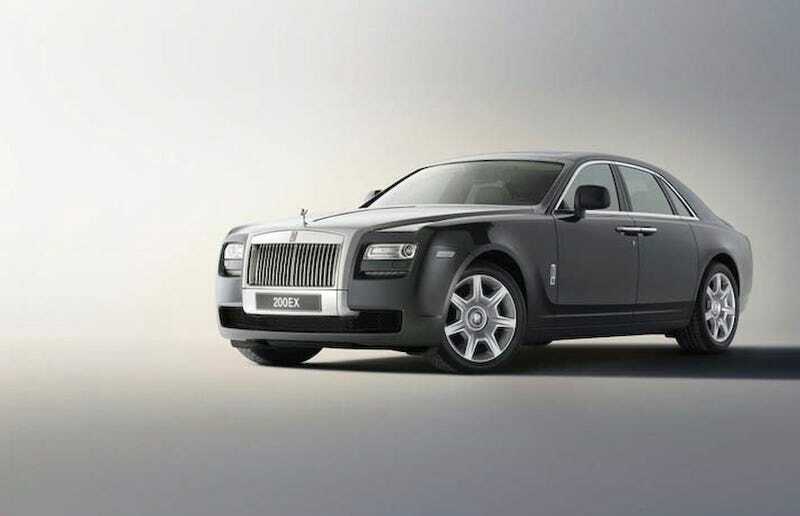 Manufacturing and, presumably, sales of the Rolls-Royce RR4 neé Ghost are scheduled to start at the company's underground lair production facility in Goodwood towards the end of this year. Expect a coupe and convertible to follow a year or two later. That is, you know, if they actually manage to sell any and don't have to turn to making tables like Bentley.